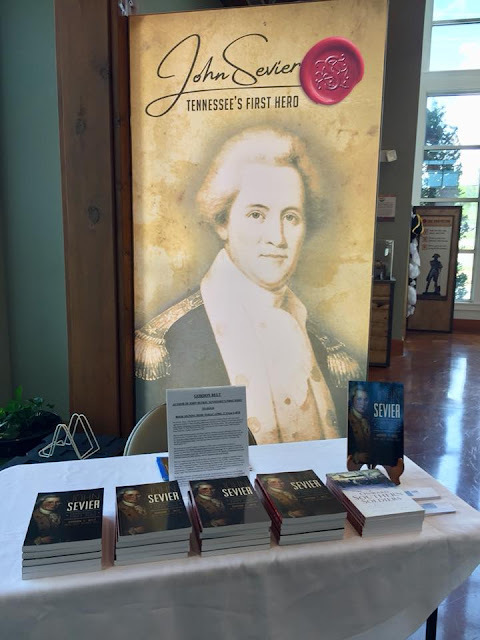 In January, The High Road Agency approached me requesting permission to use some of my writing describing the life of John Sevier: Tennessee's First Hero for a new exhibit at the Sevierville Chamber of Commerce Visitor's Center. That exhibit is now on display and open to the public. I'm eager to see it in person. I've accepted an invitation to a book signing at the Visitor's Center on Friday, April 27, 2018. The event will take place from 2:00 pm to 4:00 pm ET. Visitor's Center is located at 3099 Winfield Dunn Parkway, Kodak, Tennessee. Be on the lookout for details about that event published in local media outlets. I hope to see you there! I'm glad that my book helped to inform and inspire this exhibit. 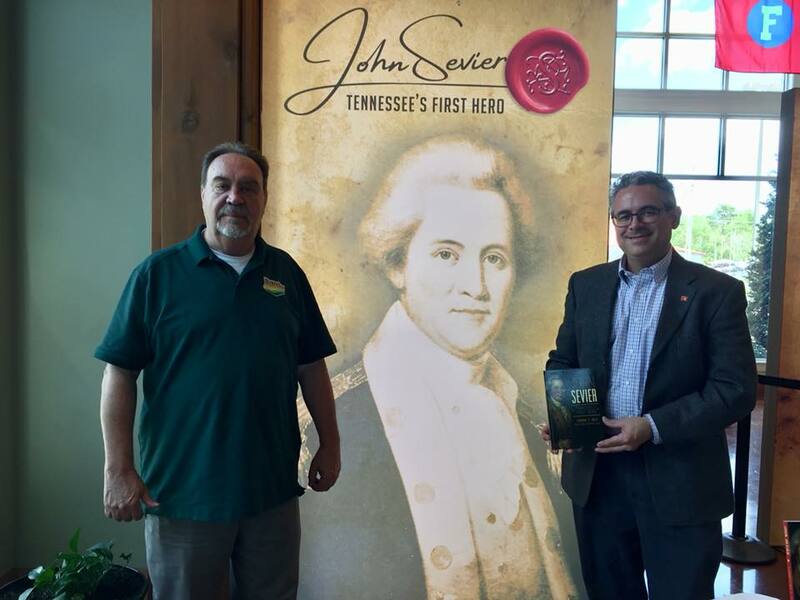 One of my goals in writing a book about John Sevier was to draw public attention to a long-neglected historical figure I've devoted several years of my professional life to studying. I hope that this exhibit also accomplishes that goal. 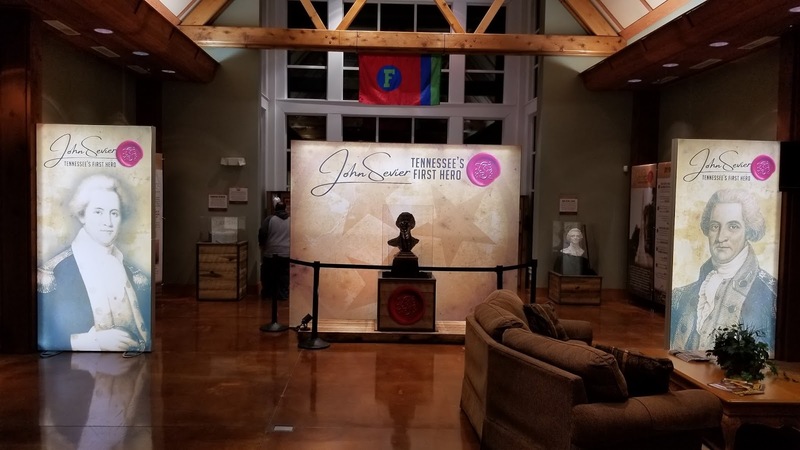 I'm also pleased to learn that historical artifacts from Marble Springs, John Sevier's plantation home, are currently on loan to the Visitor's Center and on display. The exhibit will remain open through 2018, so if you find yourself traveling near Sevierville, I encourage you to visit this display and learn something new about "Tennessee's First Hero." Thankful for Carroll McMahan’s kind invitation. He is the Sevier County historian and host for this event. Copies of John Sevier: Tennessee's First Hero on display. 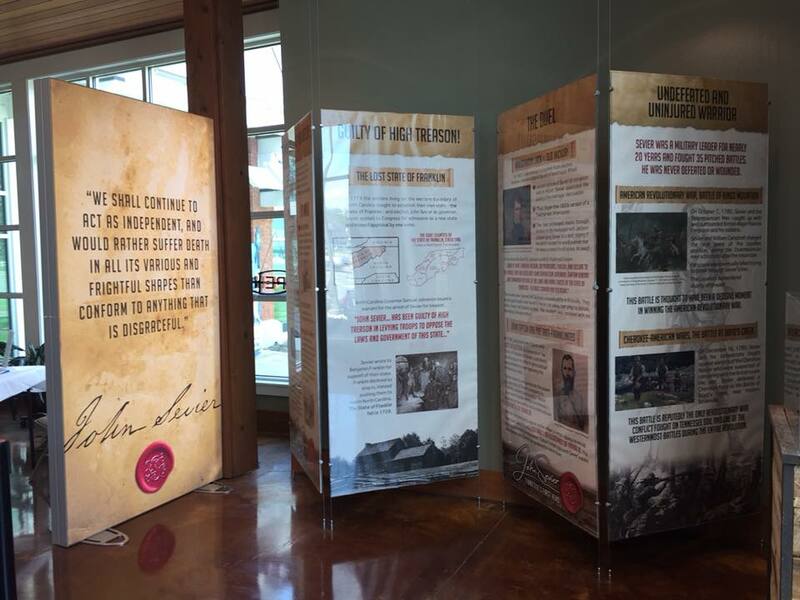 These panels feature some of my scholarship, excerpted from our book, John Sevier: Tennessee’s First Hero. I had to do a double take looking at this portrait. 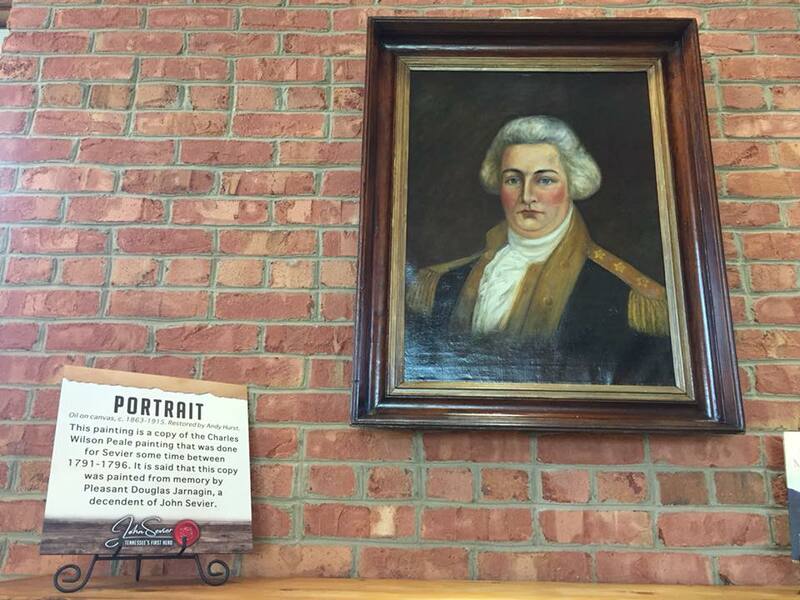 It looks a lot like William Blount, but it’s actually John Sevier, another depiction painted by Charles Willson Peale. 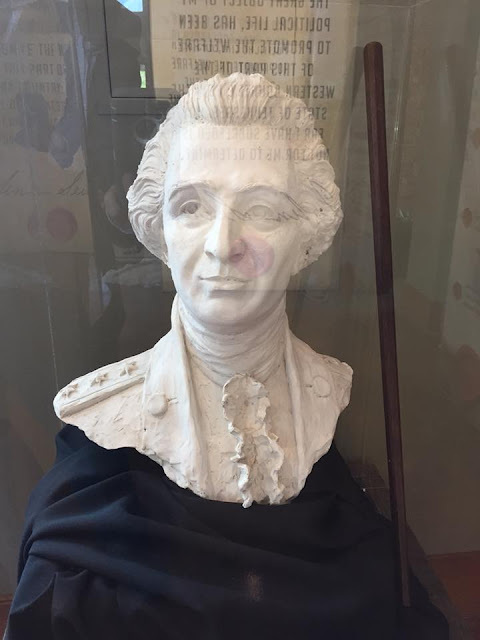 John Sevier’s walking stick alongside a bust of his image, on loan from Marble Springs Plantation. 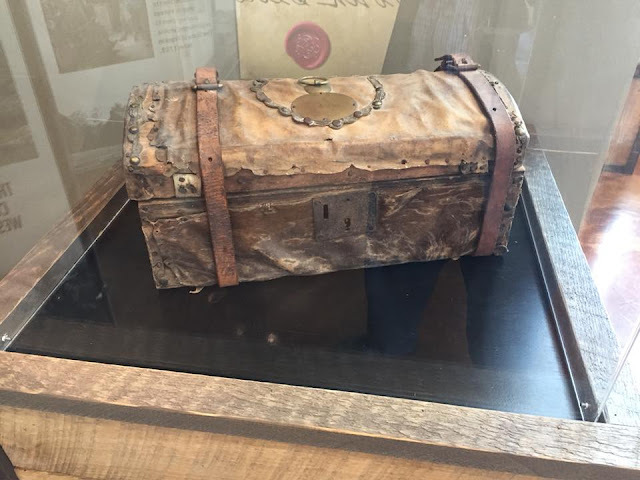 This small trunk, also on loan from Marble Springs, is engraved with Sevier’s name. It’s made from wood and covered in deer skin. For three months in 1796, it held the treasury for the newly formed state of Tennessee.